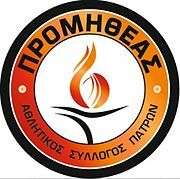 Promitheas signed Rion Brown. The 27-year-old American guard graduated from Miami Hurricanes and started his professional career in Israel with Hapoel Tel Aviv. Brown has also played in Belgium with Brussels, in Finland with Joensuun Kataja, and in France with Digione. In his last season with Digione Brown averaged 12.6 points and 2.8 rebounds per game.